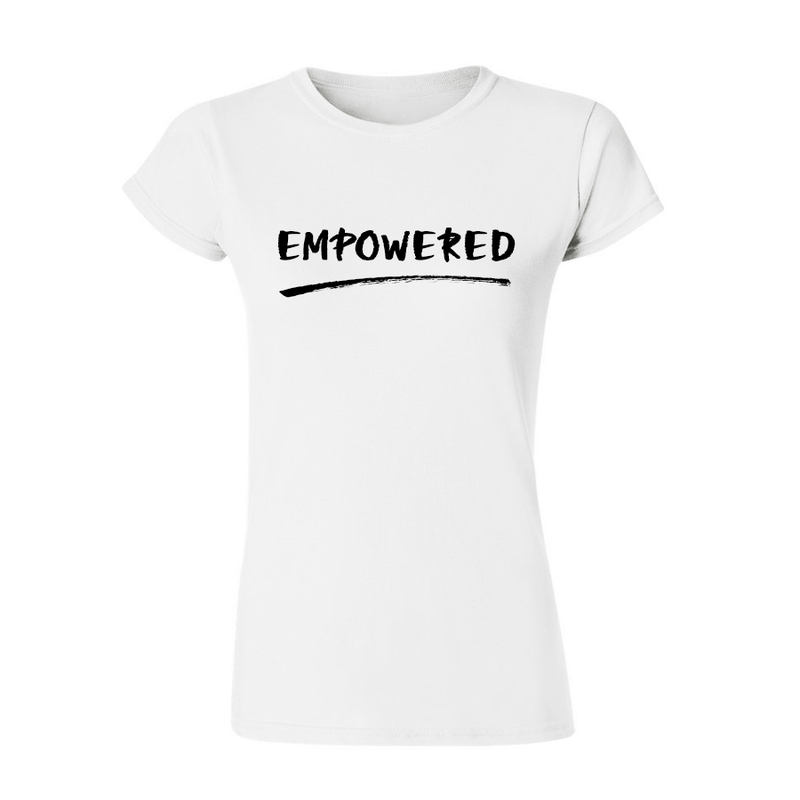 In honour of International Women's Day, Jeetly launched this range of t-shirts symbolising feminism and empowerment to empower petite women worldwide. 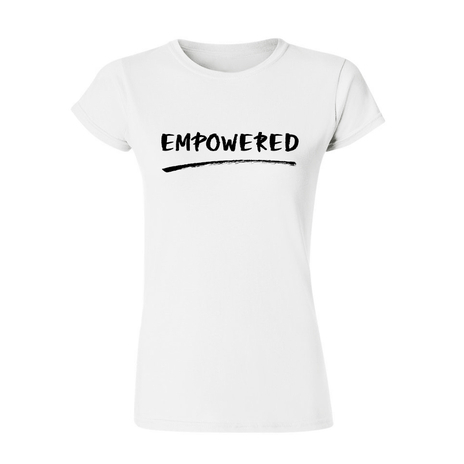 30% of the funds raised will be donated to Care International, a global charity that empowers women and girls to overcome poverty, providing education, means of earning an income, ending child marriage and gender-based violence. Every T-shirt is made of 100% cotton and is produced in a factory that meets the Ethical Trading Initiative Base Code: the factory has passed health and safety requirements, provides good working conditions and pays workers a fair wage. This T-shirt design has been voted 'IN' for production by our customers and can be pre-ordered if your size is out of stock. Petite T-shirt length from the highest point of the shoulder to hem is 65 cm. Machine wash at 40 degrees inside out with like colours. There are currently no reviews for this product, you can submit a review using the link above. You decide. This petite white T-shirt goes with everything! 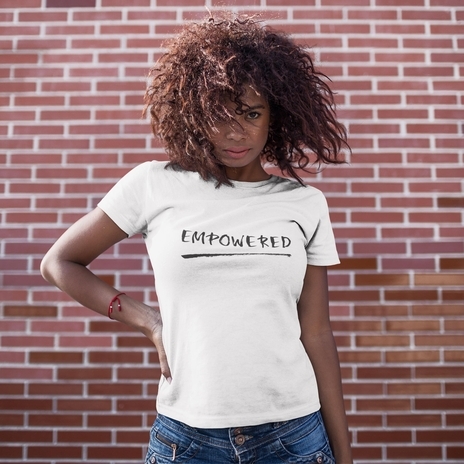 The point is, when you wear it, you stand for female empowerment.